GIVEAWAY DAY 11!!!! To celebrate the launch of our new forums we will be having 100 DAYS OF GIVEAWAYS! In addition, today’s Giveaway comes from a guy who has been here supporting Girls of Fire from the very beginning. Not only is he one of the most awesome people I have met on FaceBook, he does the most amazing work! 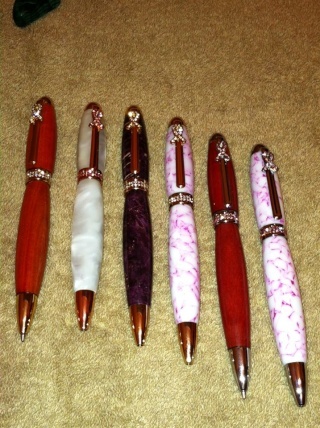 Today he is offering us one of his GORGEOUS Pens! Final choice of style and color will be between you and Bob. If you haven’t been over and checked out his page https://www.facebook.com/bobscustomcalls?fref=ts , do yourself a favor and take a good look around while you are there. You won’t be disappointed! Today’s giveaway will run for the duration of this weekend and end on Monday morning 9/16/13…so be sure to share it with all of your friends so they will also have a chance at this gorgeous prize. Please help me show him our appreciation by giving him some Girls of Fire love! 2. 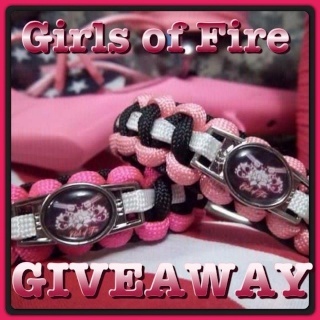 Share the news of our giveaway by posting this link http://girlsoffireusa.forumotion.com/t129-giveaway-day-11#459 in the status on your FaceBook page. All these wonderful prizes! I will have to figure out some hiding places otherwise my granddaughters will be taking off with them! I'm a fan of Bobs page already I'd really love to win this one!!!! 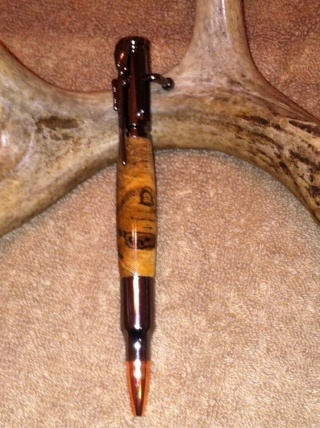 All done, love this pen. you guys are awesome ! the pens are amazing.